If you ever wanted to know about lace front wigs or are considering buying a lace wig, then this FREE Ebook is the perfect guide to learning about lace wigs. Revealed: The All In One Guide To Lace Front Wigs! Are you wondering how to accomplish the perfect hairstyle always dreamed about? If you answered yes to this question, then this informative and enjoyable e-book written by lace wig expert Nicole Trimper will reveal the secret answers to creating a more beautiful hairstyle by using lace wigs and finally end your bad hair days. If you can answer yes to any of the following questions below then this lace wig e-book is a must have guide. Have you experienced some form of hair loss resulting from tension alopecia, medical conditions, or just natural genetics? Are you worried about thinning and uncontrollable hair loss? Are you frustrated with paying thousands of dollars for current hairstyle? Are you sick of ruining your hair by using hot irons, hair weaves, and fusion hair extensions? Are you searching for a convenient and natural looking hairstyle which can be ported anywhere or put up and high ponytails? Do you need time to let your natural hair grow back to damage caused by hairstyling tools and chemicals? Do you want to know how to apply, maintain, and remove your lace wig? Hairstyles are a vital aspect and how we appear to the people around us - Especially during that first impression. Most people dream about having better looking hair and it's probably safe to say many of us know it can be very time-consuming and difficult to manage your own hair. Depending on whether your hair problem is resulting from hair loss, thinning hair, difficult textures to style or you simply want a new look - we all could agree that some days we just want to throw add-on and not think about it. This issue is usually not an option, especially if you're female. As we strive keep our hair beautiful our well-being and confidence increases. The better you look, the better you will feel around yourself and others - That's a fact . Do you waste time trying to manage difficult hair? Do you spend too much money on your correct hair? I completely know how difficult it can be to have those bad hair days. I realized this while growing up in my mid-20s. I was straight out of college and was privileged to receive a data entry job at a local accounting firm. All of a sudden, due to stress in my personal life and environmental factors at my household I was suddenly starting to lose hair on a daily basis. I would take a shower in the morning he clumps falling out and swirling down the drain every day. I tried over-the-counter hair loss treatments such as minoxidil and hair weaves to solve my problem. This didn't work. As I continue to lose more hair everyday, my confidence and overall well-being started to decrease. When I looked in the mirror I noticed I was in the same person as compared to when I had my great hair. My family and friends started noticing my personality changes as well resulting from my hair loss. This was a devastating experience I had to overcome. I had a revelation one day when I was in the grocery store doing some shopping. I happened to pick up a celebrity style magazine and came across an interesting article on how the celebrities in Hollywood would wear lace front wigs to change their hairstyle instantly. It came to my surprise that most African-American celebrities actually shaved their heads and just where lace front wigs. In amazement this single article provided me with motivation to finally solve my bad hair problem. It doesn't take a rocket scientist to figure that out. If you're still reading my story, then it's safe to say you have probably seen friends, celebrities, and associates with beautiful hairstyles and asked yourself why can I have her like that? If you gave a shot at fusion extensions or hair weaves, you know this isn't a solution to solving your problem. It can be costly, time-consuming, and noneffective if you're looking for the answer to regrow your natural hair. Most types of hair extensions facilitate hair loss problems. It is only a short-term solution that has a bad and expensive ending. Most individuals are nowhere that braiding, hair weaves, and fusion hair extensions are leading cause resulting in tension alopecia. I discovered that tension alopecia actually causes hair loss because the hair follicles strained over a long period of time. This place a huge factor in the cause of my hair loss. Lace front wigs were the solution that would change my life forever by helping bring me back to the self-confident, highly capable, and beautiful person I once was before my hair loss problems. If you aren't familiar with lace front wigs, don't worry you're definitely not alone. The use of lace front wigs has been kept a "hidden secret" for many years in the hair loss industry. this is mainly because people that where lace wigs don't want to admit they're wearing a wig. The truth is there's nothing wrong with wearing a wig as long as others around you can tell you're actually wearing one. The lace front wig does just that, it's truly undetectable and provides a natural looking appearance against the scalp. There are so many variations of colors, textures, lengths available you can now get the hairstyle you we dreamt about. If you're asking yourself, "Will lace front wig work for me?". The answer is, "Yes". Celebrities are typical individuals just like you and me, if they can have the perfect hairstyle so can you offered at a fraction of the price. Lace Wigs are worn on the outside of the scalp - so there is no risk of damage caused to your hair follicles on like hair weaves, hair extensions, and braiding. Lace Wigs are a great option you are experiencing any form of hair loss. Wearing lace wigs makes you more self-confident and beautiful just like celebrities. Lace Wigs are affordable on any budget because of the different types of lace front wigs available on the market. Lace Wigs are undetectable, not even your friends or family will notice who are wearing wig. 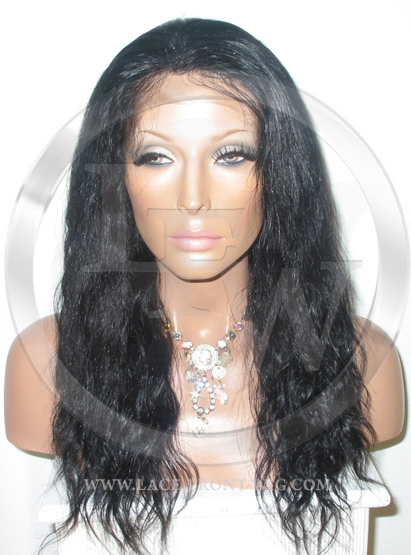 Lace Wigs are made with real Remy human hair and can be texturized to your personal taste. 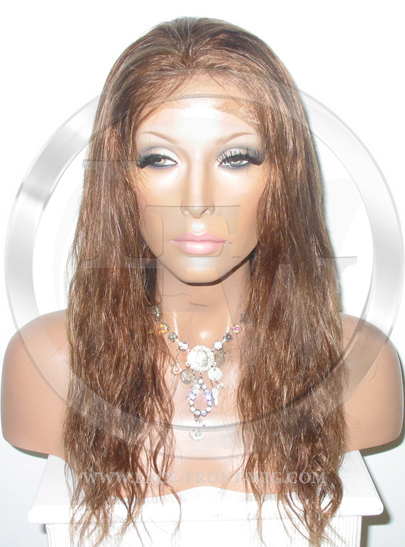 Lace Wigs our easy to apply and remove - Whether the a daily, weekly, or monthly solution. It's my goal is to inspire individuals battling hair loss the most relevant and informative information about lace front wigs. As a top qualified lace front wig expert in the hair industry, I have noticed many people simply can't find a place (or informative ebook) that provides valuable information related to lace front wigs and lace wigs. I know answering the question, "What are lace front wigs?" can be complicated to understand, especially for people who are new to lace wigs. That's why I wrote the Lace Front Wig Ebook and offered it FREE. 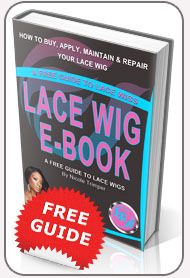 Why are we giving away a FREE Lace Front Wig eBook? It is only a piece of my appreciation that I can give back to everyone people suffering from the same hair loss problems I once encountered. This Lace Front Wig Ebook Is What Is a Must Have! "I never knew how celebrities and just ordinary people I met had such beautiful hair. 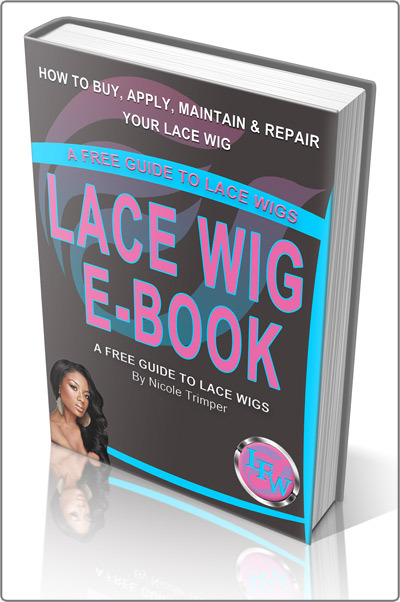 After reading, "A FREE Guide To Lace Wigs Ebook" by Author Nicole Trimper; I was able to restore my self-confidence and help answer all my questions I had about lace wigs. I now feel like a lace wig expert myself. Thank so much Nicole for the great Ebook!" Be careful! Too much information on the internet can confuse even the most advanced lace wig user. Currently, the Internet is a place to research information. The truth is, you really don't know if the information you are reading or researching is coming from a credible source. There are so many blogs, websites, and articles on lace wigs that can be misleading to the reader. I wrote this eBook to explain the different types of lace wigs available on the market. I believe different types of lace front wigs are needed to achieve ones personal identity because everyone is different when it comes to style and appearance. During the writing of this book, I was lucky enough to talk to celebrity hairstylist which informed me of all the secret methods of applying, maintaining, and styling the lace wig. I was also informed of how to get the best deals on lace wigs and where to shop for the best human hair quality. I'm excited to share this information with you, as I hope it will help you solve your hair problems once and for all. What's Included In the Lace Front Wig eBook? We cover the following topics below in detail to make the learning of lace wigs easy and enjoyable. Simply put, I'll explain all the details you must learn about lace wigs in todays hairstyle industry. Even if your just starting out - This is a great eBook to a jump start your learning about lace front wigs. We explain and cover the different types of lace wigs in detail. Various methods on selecting, maintaining, and applying lace wigs. How to select the correct type of remy human hair that matches your current hair texture. How to choose the lace color to match your skin type. How to take your scalp measurements. Why the celebrities have kept the concept of lace wigs a secret for the past 30+ years. Methods to get the hairstyle you always dreamed about by using a lace wig. The vitals to maintain lace wigs and advice on how to make your wig last longer. How to determine you head shape to determine which type of lace wig will suite you look. A extensive summary of lace wig terms that are important before making a purchase. Important and secret information to learn if you are a hairstylist or hair dresser. All comprehensive overview of frequently asked questions about lace wigs. In short, I'll cover everything you need to know about lace wigs - even if you didn't know anything about them before today. This eBook is recommended to all my clients who where lace wigs! "As a professional lace wig hairdresser for over 15 years, I admit I have never discovered such a extensive resource on lace wigs. After each application I recommend this book to my clients on a daily basis. I told him it's a great place to start learning about lace wigs. Once they read it, they always come back and during their next appointment always they tell me it's the best book they've ever read on lace wigs. It's great because it's less questions that I have to answer to my client. This is an outstanding resource for anyone looking to learn about lace wigs." Stop! Don't waste another Dollar on Your Hair Until You have Read, "A FREE Guide To Lace Wigs eBook!" The truth is purchasing a lace front wig be quite expensive if you don't know much about it. That's why I've compiled this book is easy way so everyone from beginner to expert's will completely have a better understanding about lace front wigs when you're done reading. I can't promise this eBook will be available FREE for long, so take advantage of this eBook while you can. That's right, this is a completely FREE eBook offered to you at no cost. Once you finished reading, please come back and leave some comments for me. Complete the form below to get your Instant FREE Lace Wigs eBook!